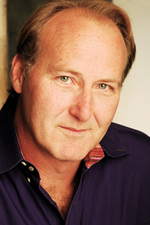 Charles Askenaizer (Trevor) is honored to be working with the Artistic Home on this production of Giving Ground. Some past credits include Horatio with ReDiscover Theatre's "Hamlet", Ferdinand in Dreamlogic Theatre's "The Tempest", and Sergius Saranoff in the St. Sebastian Player's production of "Arms and the Man". Currently he plays with the Harold team "Linprov" at the Improv Olympic Theatre found during the Monday night Harold slots. Much love and thanks to Kathy, Jon, Susan, Jeffrey, Michael, Joyce, Morgan, Moriah, Chloe, Michael and Rob. 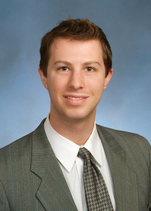 Gregory A. Braun concentrates his practice in real estate law. Greg represents both buyers and sellers of real estate, as well as clients in distressed financial condition who could benefit from bankruptcy, foreclosure defense, or short sales. In addition, Greg assists clients in the compliance with federal, state and local development regulations, and he provides his clients valuable counsel for construction, insurance, corporate and tax matters, including 1031 exchanges. During his career, Greg has represented hundreds of clients in real estate and corporate transactions, assisting individuals, families, builders, developers, investors, and lenders in projects ranging from the construction or sales of single family homes to the development of 250 unit towers. While Greg has represented some of the largest Chicago-area builders, including MCL Companies, Terrapin Properties, and Jameson Realty, has participated in complex commercial and residential condominium conversions, and has worked on many high-scale development projects including Park View and River View Condominiums, Grand Plaza Tower, and Burnham Pointe, Greg gets the most satisfaction out of helping home buyers and sellers, as well as neighborhood builders. Greg also lectures extensively on matters of real estate law to varying audiences. Greg has provided continuing legal education to attorneys at The Chicago Bar Association and Chicago Title and has provided training to realtors and other professionals at the Metropolitan Planning Council and various real estate brokerage offices throughout the city and suburbs. A graduate of Indiana University School of Law (Bloomington) where he received the Am Jur Award in Real Estate, Greg was a member of the National Trial team. Greg is a member of the Illinois State Bar Association, the Chicago Bar Association and a member of the Real Property Law Committee on Condominium Law. Greg is a commissioner on the Wilmette Housing Commission, providing guidance to the Village on housing matters and providing housing assistance to community members in need. He also is a board member of the Artistic Home, a Chicago acting ensemble and studio offering classes, workshops, and full stage productions. Gregory A. Braun (Male Detective) concentrates his practice in real estate law. Greg represents both buyers and sellers of real estate, as well as clients in distressed financial condition who could benefit from bankruptcy, foreclosure defense, or short sales. In addition, Greg assists clients in the compliance with federal, state and local development regulations, and he provides his clients valuable counsel for construction, insurance, corporate and tax matters, including 1031 exchanges. 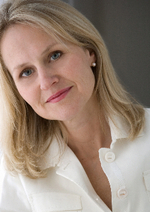 ﻿﻿Kristin Collins (Marcia) joined The Artistic Home as an ensemble member in 2010 after serving as Assistant Director for the world-premiere of Jim Lynch's The Tallest Man. Kristin has appeared onstage at The Artistic Home as June in Marisol, Miss Lucy in Sweet Bird of Youth and Tina in Memories from Dreamland, which was featured in Cut to the Chase: Primetime. This February, she can be seen in the world-premiere of Dating Walter Dante at Raven Theatre. Other theatre credits include Sam in the midwest premiere of Neil LaBute's Some Girl(s) at Profiles Theatre, Colleen in Dinner for Six at Metropolis Performing Arts Centre and Catherine in Proof at Alchemy Theatre, where she was a company member. 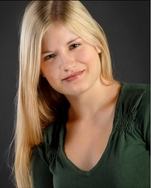 She also has worked with LiveWire Chicago, Circle Theatre and Citadel Theatre. 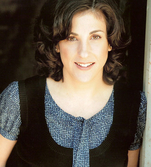 Kristin continues to study at the Artistic Home Acting Studio and also serves as the company's managing director. Patrick C. Cunningham (Guardboy) is a Chicago actor, model, producer and selectively humorous stand-up comedian. Originally hailing from the plains of Oklahoma, Patrick fits into one single professional mold about as well as a thunderstorm in a thumbnail. Past film roles have included an all-out neck slashing psychopath, voraciously amorous tango dancer, Midwestern vampire hunter and level-headed pool-hall brawl hombre among others. In late 2011 Patrick will make his first foray into video games having been cast as the lead character in a multi-platform release. A graduate of the University of Oklahoma and the School of the Art Institute of Chicago, Patrick hopes to one day finally find out what Slivovitz tastes like. It is also rumored that he possesses the rare ability to, with a single look, temporarily paralyze small to medium-sized animals. Justice Erickson has had a distinguished career as a lawyer, jurist and law professor. He began his career as an Assistant State's Attorney, and then spent six years in private practice. In 1988, Justice Erickson was appointed to the bench as served as a judge in the Criminal Courts. In 1996, he was appointed as First Assistant State's Attorney in Cook County. Five years later, he was recalled to the bench and sat for three years in the Juvenile Court before being appointed to the Illinois Appellate Court, First District. In August of 2006, Justice David A. Erickson retired as a justice of the Appellate Court, accepted a position as a Senior Lecturer in Law at IIT Chicago-Kent College of Law, and became the Director of the school's nationally ranked Trial Advocacy Program. Under his guidance, the law school captured many regional and national honors. He also teaches courses in Evidence, Criminal Procedure, and Intensive Trial Advocacy. Richard J. Gonzalez (Judge) is a Clinical Professor at Chicago-Kent College of Law where he teaches Employment Discrimination and Pretrial Litigation. Mr. Gonzalez has represented plaintiffs in employment discrimination and wrongful discharge cases since 1988 after having served as an Administrative Law Judge at the Illinois Human Rights Commission and as a civil rights lawyer with The Legal Assistance Foundation of Chicago. A 1975 graduate of Northwestern University and a 1978 graduate of The Ohio State University College of Law, Mr. Gonzalez has extensive trial experience and is active in the National Employment Lawyers Association, the ABA, and the CBA. He has published numerous articles on employment law in law reviews and practitioner journals, he is a frequent speaker at continuing legal education seminars, and is co-executive editor of the leading employment law treatise “Employment Discrimination Law by Lindemann & Grossman (BNA). Susie Gutowski (Valerie) came to Chicago via the University of Chicago, where she majored in Law, Letters, and Society as an undergrad. Post-college she found a passion for improv and acting. She studied improv at the iO Theater (formerly Improv Olympic and Meisner technique at the Artistic Home under Kathy Scambiaterra, John Mossman, and Mary Ann Thebus. She performs regularly at iO with the ensemble "Seal Team B.I.T.S." and writes/acts with the sketch comedy group Robot vs Dinosaur. By day, she writes for Groupon Getaways, the travel wing of Groupon.com. 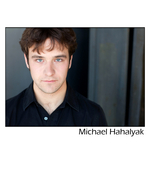 Michael Hahalyak (Tad) is a graduate of Wheaton College (Wheaton, IL) and the School at Steppenwolf. He has worked with Untitled Theatre Company (Run of the Mill, The Black Ship Company(Pills), Polarity Ensemble Theatre (Kabulitis Understudy), Redmoon Theatre (Spectacle Lunatique), and most recently, Chicago Shakespeare Theater (A Midsummer Night's Dream Understudy), as well as the film trailer for You Took Away My Flag. This is his first time working with The Artistic Home. He would like to thank Hank Perritt, his friends, his family, his church, the state of Illinois, and God for this oppurtunity. 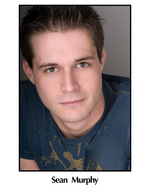 Ryan David Heywood (Bryan) has been seen in Cut to the Chase 2012 and Marisol at The Artistic Home Theatre, Confessions of a Tramp Stamp (his one man show) at The Annoyance Theatre and was a member of the Harold team Whiskey Rebellion at iO Theater. He also appeared in the short film Here Goes Nothing which was selected for the Illinois International Film Festival. He is a graduate of Doane College, The Artistic Home Theatre, iO Training Center, and the Second City Sketch Writing Program. 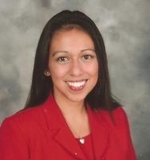 Melanie Kibbler (Rachel) is a 2L at Chicago-Kent College of Law. Before attending law school, Melanie received a B.S. in Theater from Illinois State University and acted in several Chicago area productions. Melanie is an Ensemble Member with Nothing Special Productions and is proud to support Giving Ground and Chicago theater! Mark Kollar (Alderman Fox) recently performed in a trailer for the movie "You Took Away My Flag," directly by James Bezy and written by Hank Perritt. He is a co-founder and Artistic Director of the Norwood Players. He authored "Among the Olive Groves" which was presented in an Equity production in 2003. As an actor, Mr. Kollar played the Montague in "Romeo and Juliet" and wasfeatured in the role of the Senator in "The Answer in 2004", written and directed by the late Delle Chatman. he played Jerry in the Prop Theatre production of "Debris of the Prophet". He was featured in the Silent Theatre company productions of "The Set Up" and its "St. Valentine's Day Massacre". He has written, directed and acted in numerous community theater productions in Chicago. He is collaborating with Aaron Holland in writing and producing a musical, "Waiting for Otto", currently in workshop. He lives in Edgewater with his beautiful wife Mary. honored to be working with the Artistic Home on this production of Giving Ground. A graduate of Chicago-Kent, Lydia is in awe of real State's Attorneys and hopes her portrayal of Frances successfully embodies her respect and appreciation for their hard work. Lydia Lazar (Frances) has previously played an urban geographer, a lawyer, a global businesswoman, and a law school dean in "real" life, and is honored to be working with The Artistic Home on this production of Giving Ground. A graduate of Chicago-Kent, Lydia is in awe of real state's attorneys and hopes her portrayal of Frances successfully embodies her respect and appreciation for their hard work. Travis Life (Sergei) is a member of the Illinois Bar and practices entertainment law in Chicago. Eric Lipinski (Thug #3) is thrilled to be involved in a play that is such a creative and entertaining way to earn CLE credit. He studied improv at the Second City while in law school and is excited to get involved with the Chicago theatre scene again. A recent graduate of Chicago-Kent College of Law, Eric concentrated his studies on environmental law and intellectual property. Mary McClenahan (Harriett) is an independent theatre artist and writer. She recently completed co-writing the book and lyrics for a new musical titled The Lori Project with plans to workshop it this summer in Chicago. She holds BA and MS degrees from the University of Illinois, Urbana Champaign, and received her theatre training from the late Ted Liss. Having a commitment to lifelong learning, she is currently studying the Meisner Technique at The Artistic Home. Mary is very pleased to be working with the talented cast and crew of Giving Ground and would like to thank Kathy and Hank for giving her the opportunity to be a part of the production. She resides in Lake Bluff with her husband, Chris Fielding, and their two children. Sean Murphy (Guardboy) was most recently seen as Algernon in the Old World Theatre Companies "The Importance of Being Earnest". Other Chicago Credits Include Black Comedy (Old World Theatre), Laughter on the 23rd Floor (Old World Theatre), 16 Tons (Artistic Home), Sweet Bird of Youth (Artistic Home), 1940's Radio Hour (Citadel Theatre), Shiny Boxes (Dream Theatre), Annee Pocalypse (Hubris Productions), The Exonerated (Gorilla Tango/La Costa Theatre), Spectacle Lunatique (Redmoon Theatre). Sean graduated with a BFA in Theatre performance from UIC and has taken professional courses with noted Chicago artists such as Kathy Scambiaterra, Erica Daniels and Linda Gillum. Off the stage Sean professionally recruits Statisticians, Mathematicians, Astrophysicists, and Biostatisticians. With his free time he enjoys trail riding and cow penning with his horse Fletcher. 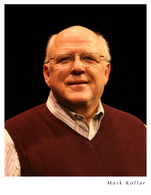 FRANK NALL (Sterling) has been an active member of the Chicago theatre for over 20 years. 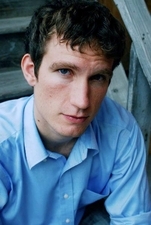 His recent work includes: directing the Jeff-Nominated Only Kidding for Emergent Theatre Company, Freddy Filmore in It’s A Wonderful Life: The Radio Play at the Clarence Brown theatre in Knoxville, and as Bill O’Wray in the Artistic Home’s critically- acclaimed production of Trouble in Mind. 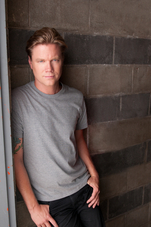 An Artistic Home ensemble member for the last three years, he played Captain Jack in Juno and the Paycock, (nominated for and won a Jeff Award); The Tallest Man(Jeff-nominated for best original play); Sweet Bird of Youth as Boss Finley(chosen by several critics as one of the best plays of the year); and W.O. Gant, in Look Homeward Angel. Frank’s other credits include: Uncle Roman in Noble Fool’s production of polish joke, Sir Toby in City Lit’s Twelfth Night, Features in Seanachai’s production of War, Kittel in dearly departed Famous Door’s production of Ghetto, for which he received a Jeff nomination for best actor, title role in Mister Roberts for Powertap, Frank van de Hoy in Gagarin’s Way for Red Orchid, Uriah in Mann ist Mann for Famous Door, Malvolio in Twelfth Night, Master Ford in Merry Wives, Banquo in Macbeth, Stephano in The Tempest, Oberon inMidsummer Night’s Dream, all for Illinois Shakespeare festival and too many others to mention. Film and TV credits include: the CNN report from Spygame, Bar Brawler in Early Edition, Possessed Bum in the new pilot Prince of the City, and numerous commercials. Frank has a Master of Fine Arts from the University of Illinois, Champaign/Urbana. Marcellus Norwood (Police Commander O'Connor) was born in Markham, Illinois. He took acting and improv courses at Second City and has done film and theater in Chicago, New York & Los Angeles. and is still currently pursing his dream as an actor. Gloria Schmidt (Female Detective) is a Chicago-based trial attorney who studied improve at the Coconut Grove Playhouse in Coconut Grove, Florida at an early age. She continued her love of performing while studying dance at the University of Colorado in Boulder. Her love of interacting with the public led to her appointment to the Standing Committee on Law Related Education for the Public by the 2012-13 President-Elect of the Illinois State Bar. She hopes to continue working within the Chicago theater circuit and being an active member of the bar. 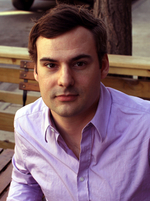 Dan Selcke (Waiter) is a 2011 graduate of Chicago-Kent College of Law and a member of the Illinois Bar. Outside the law, Dan has an abiding interest in live theater and worked for two years as an Assistant Manager at the Shaw-Chicago Theater Company. While there he was involved in the organization and production of several staged readings of classic plays, including Clifford Odets’ Paradise Lost, Elizabeth Robins’ Votes for Women, and several plays by George Bernard Shaw.